Suzanna McGee is a former Ms. Natural Olympia bodybuilding champion, a certified performance coach, injury prevention specialist and a plant-based nutrition expert with over 25 years of experience. She will help you to improve your health, well-being, and athletic performance through mindful fitness training and plant-based nutrition. 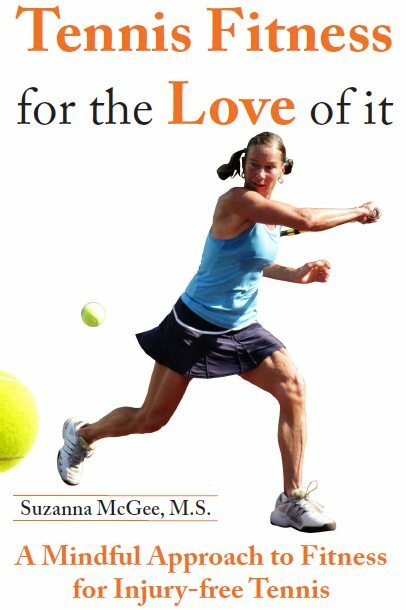 Her books “The Athlete’s Simple Guide to a Plant-Based Lifestyle” and “Tennis Fitness for the Love of it” will guide you toward health and maximum performance. Without health, there is no happiness. 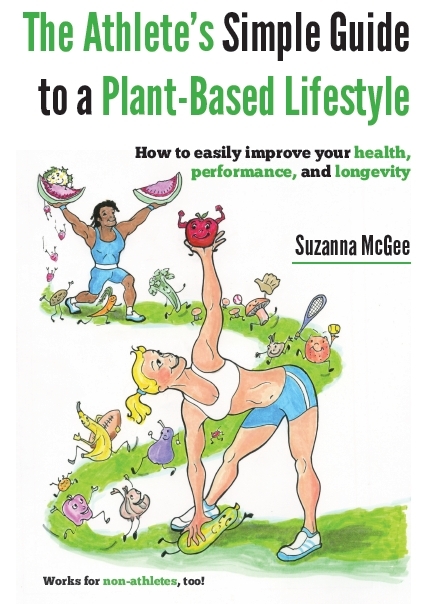 Suzanna’s passion for the subject of fitness, health, longevity and positive outlook on life is contagious. The standard American diet (SAD) is a sad proposition for people’s health and longevity. In our diet, 65% of calories comes from processed foods, 25% from animal products, and only 12% from plants (and half of it comes from french fries!). This means that we only eat 6% of calories from healthy vegetables, fruits, grains, legumes, nuts and seeds. People are overweight, obese, have type-2 diabetes, heart disease, and many unpleasant cancers and other lifestyle diseases. The solution is very simple: eat more plants. You will manage your weight healthily and easily. You will improve your energy levels, well-being, and overall health. Eating a plant-based diet is much easier than you can imagine. I will guide you through this empowering process that you will cherish for the rest of your life. Healthy and long life. It is falsely believed that if you are a high performing athlete or a weekend fitness warrior athlete, you need to eat meat to get strong, to eat eggs to get good protein and get healthy, and to eat dairy to get strong bones. The truth is that animal products inhibit the maximum recovery, and plant-based diet is optimal for high energy levels, maximum recovery, and exceptional health. 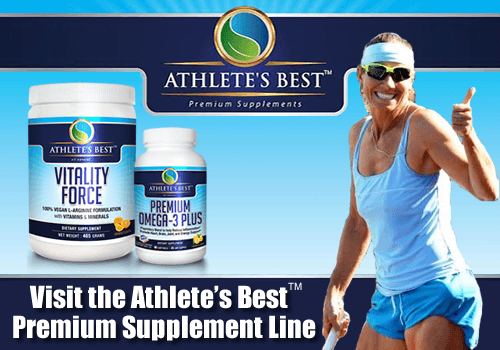 Without great health, you cannot perform athletically at your maximum performance. Living the plant-based lifestyle as an athlete is quite easy. I will teach you the main principles, clarify some of the myths, give you blueprint ideas for simple and tasty meals, and even explore the power of raw food. Once you enter the world of plants, you will never want to go back, thriving in your healthy and athletic endeavors. We all develop imbalances in our bodies. It will happen much faster if you play sports that are one-side dominant. It will happen slower, if you just live your modern lifestyle. But it will happen. Often the results of the imbalances start showing when you reach your 40s or 50s. If you are one-side dominant athlete, then it can be in the 30s or even in your 20s. The older you get and the more imbalances you accumulate, the more compensations your musculoskeletal systems needs to do. You start experiencing overuse problems, aches, tightness, and even injuries. All this is preventable. I will explore the world of imbalances and guide you how to find them and correct them, so you would never need to deal with the overuse injuries. You don’t need to stop your athletic life just because you are getting older. You will be able to play your sports even in your 60s and 70s, and perform as well (or even better) as you used to when you were younger. It is never too late to start anything. Whatever you choose to do, whenever you decide to do it, you can and you WILL do it. The small daily actions compound over time and create huge results in your life, athletic performance, and health. I was born in the communist Czechoslovakia, and after 20 years escaped to Sweden and started over from scratch. I created myself a good life, got a house and a good job teaching computer science at the university. Then I discovered Venice Beach. I sold my house, quit my job, and landed in Los Angeles with one bag and one bicycle. I didn’t speak any English, didn’t know anybody, didn’t know where to go and what to do. I started from scratch again. I created myself a beautiful life, yet again. I was 30 then. I became a roller dancer. A few year later, I became a Ms. Natural Olympia bodybuilding champion. I was 40 when I started to play tennis and eventually became a high-level competitive tennis player. 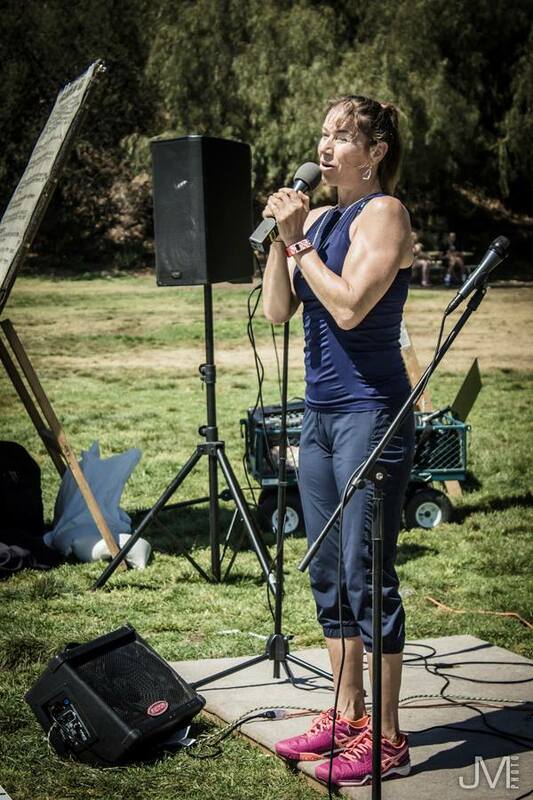 I was 45 when I became a performance coach, injury prevention specialist, writer, speaker and a raw vegan athlete. I was 50 when I started to learn pole dance fitness. There are no limits on what you can do, other than those that you create for yourself in your mind. Persistence, determination, passion, and obsessive drive can create anything you want, at any stage of your life.